Glow sticks or sparklers: which is riskier? 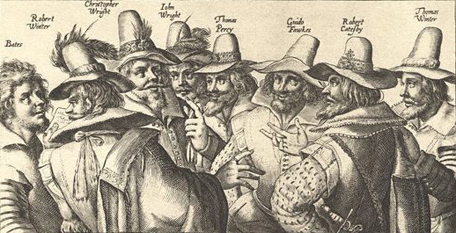 It’s fireworks night in the UK – the day when we celebrate a small group of terrorists nearly managing to blow up the Houses of Parliament in 1605 by, er, setting fire to stuff. No, it makes perfect sense, honestly, because…. look, it’s fun, all right? Anyway, logical or not, Brits light fireworks on this day to mark the occasion. Fireworks, of course, are dangerous things, and there’s been more than one petition to ban their sale to members of the general public because of safety concerns. It hasn’t happened yet, but public firework displays, rather than private ones at home, are more and more popular. Which brings me to this snippet from a letter a friend of mine recently received. “NO SPARKLERS PLEASE – with so many children runni[ng] around, we believe it is too dangerous fro children to be [words missing] lighted sparklers around. Now there are some words missing here, but it’s fairly clear that sparklers are prohibited at this event, and it seems to be suggesting that children have managed to get into, and swallow, the contents of glowsticks. But they, by contrast, haven’t been banned. Indeed, parents are merely being asked to “advise” against it. What are these things? Let’s begin with sparklers. They’re hand-held fireworks, usually made of a stiff metal wire, about 20 cm long, the end of which is dipped in a thick mixture of metallic particles, fuel and an oxidising agent. The metal particles are most commonly magnesium and/or iron. The fuel usually involves charcoal, and the oxidiser is likely to be potassium nitrate. Sometimes metal salts are also added to produce pretty colours. Sparklers are designed to burn hot and fast. The chemical-dipped end can reach temperatures between 1000-1600 oC, but the bit you hold doesn’t have time to heat up before the firework goes out (although gloves are still recommended). The sparks, likewise, are extremely hot but burn out in seconds. This makes sparklers relatively safe, if they’re held well way from the face and body, and if the hot end isn’t touched. If. Every year there are injuries. Sparkler injuries aren’t recorded separately from other firework injuries in the UK, but the data we do have suggest we might be looking at a few thousand A&E admissions each year, and probably a lot more minor injuries which are treated at home. Sparklers are most dangerous after they’ve gone out. The biggest danger comes from people, usually children, picking up ‘spent’ sparklers. The burny end takes a long time to cool down, but once the sparkles are finished and it’s stopped glowing it’s impossible to judge how hot it is just by looking. The burns caused by picking up hot sparklers are undoubtedly very, very nasty, but they’re also relatively easy to avoid. Supply buckets of cold water, and drill everyone to put their spent sparklers into the buckets as soon as they go out. Hazard minimised. Well, assuming everyone follows instructions of course, which isn’t always a given. 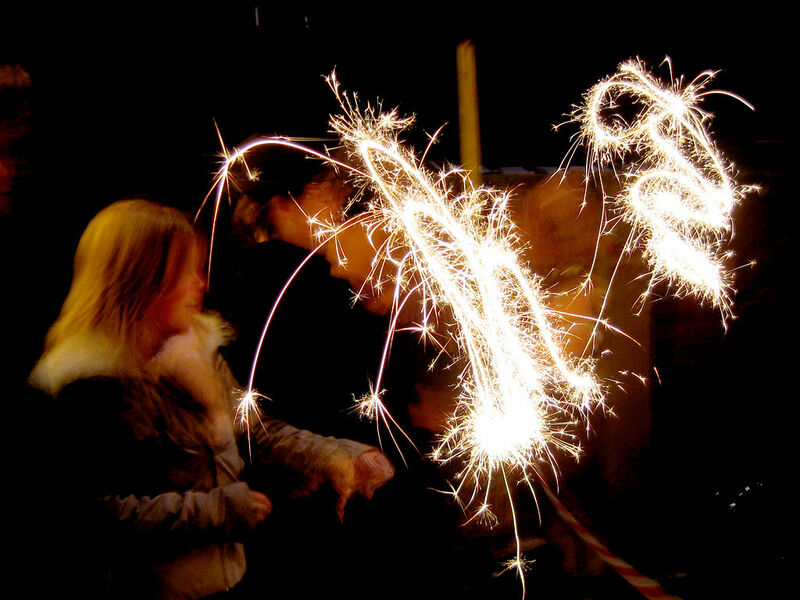 Other risks are people getting poked with hot sparkers – which can be avoided by insisting sparkler-users stand in a line, facing the same way, with plenty of space in front of them – and people lighting several sparklers at once and getting a flare. Again, fairly easily avoided in a public setting, where you can threaten and nag everyone about safety and keep an eye on what they’re doing. Although I do understand the instinct to simply ban the potentially-dangerous thing, and thus remove the risk, the idea does worry me a little bit. I was born in the 70s and I grew up with fire. I remember the coal truck delivering coal to us and our neighbours. I was taught how to light a match at an early age, and cautioned not to play with them (and then I did, obviously, because in those days it was usual for kids to spend hours and hours entirely unsupervised – but fortunately I emerged unscathed). Pretty much everyone kept a supply of candles in a drawer, in case the lights went out. And bonfires were a semi-regular event – this being long before garden waste collections. These days things are very different. It’s not unusual to meet a child who, by age 11, has never lit a match. If their home oven and hob are electric, they may never have seen a flame outside of yearly birthday cake candles. But so what? You may be thinking. Aren’t fewer burns and house fires a good thing? Of course they are, but people who’ve never dealt with fire tend to panic when faced with it. If the only flame you’ve ever met is a birthday cake candle, your instinct might well be to blow when faced with something bigger. This can be disastrous – it can make the fire worse, and it can spread hot embers to other nearby flammable items. Now. Onto glowsticks. They’re pretty neat, aren’t they? We’ve already established that I’m quite old, and I remember these appearing in shops for the first time, sometime in the very early 90s, and being utterly mesmerised by that eerie, cold light. They work thanks to two chemicals. Usually, these are hydrogen peroxide (H2O2 – also used to bleach hair, as a general disinfectant, and as the subject of a well-known punny joke involving two scientists in a bar) and another solution containing a phenyl oxalate ester and a fluorescent dye. These two solutions are separated, with the hydrogen peroxide in a thin-walled, sealed glass vial which is floating in the mixture of ester and dye solution. The whole thing is then sealed in a tough, plastic coating. When you bend the glowstick the glass breaks, the chemicals mix, and a series of chemical reactions happen which ultimately produce light. Which is all very well. Certainly nice and safe, you’d think. Glowsticks don’t get hot. The chemicals are all sealed in a tube. What could go wrong? I thought that too, once. Until I gave some glowsticks to some teenagers and they, being teenagers, immediately ripped them apart. You see, it’s actually not that difficult to break the outer plastic coating, particularly on those thin glow sticks that are often used to make bracelets and necklaces. Scissors will do it easily, and teeth will also work, with a bit of determination. How dangerous is that? Well… it’s almost impossible to get into a glowstick without activating it (the glass vial will break), so it’s less the reactants we need to worry about, more the products. And those are? Firstly, carbon dioxide, which is no big deal. We breathe that in and out all the time. Then there’s some activated fluorescent dye. Now, these vary by colour and by manufacturer, but as a general rule they’re not something anyone should be drinking. Some fluorescent dyes are known to cause adverse reactions such as nausea and vomiting, and if someone turns out to be allergic to the dye the consequences could be serious. This is fairly unlikely, but still. Another product of the chemical reactions is phenol, which is potentially very nasty stuff, and definitely not something anyone should be getting on their skin if they can avoid it, let alone drinking. Inside every activated glowstick are fragments of broken glass. And then, of course, let’s not forget the broken glass. Inside every activated glowstick are fragments of broken glass – it’s how they’re designed to work. If you break the plastic coating, that glass is exposed. 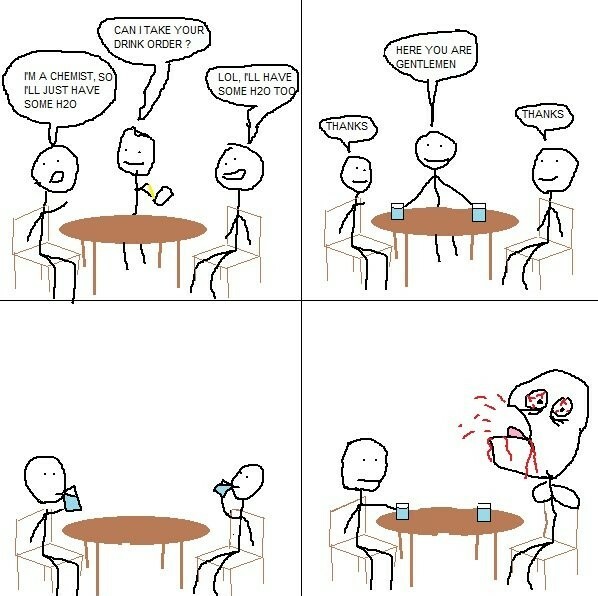 If someone drinks the solution inside a glow stick they could, potentially, swallow that glass. Do I need to spell out the fact that this would be a Bad Thing™? The thing with hazards is that, sometimes, something that’s obviously risky actually ends up being pretty safe. Because people take care over it. They put safety precautions in place. They write risk assessments. They think. So glowsticks or sparklers? Personally, I’d have both. Light on a dark night, after all, is endlessly fascinating. But I’d make sure the sparkler users had buckets of water, cordons and someone to supervise. And glowstick users also ought to be supervised (at least by their parents), warned in the strongest terms not to attempt to break the plastic, and all efforts should be made to ensure that the pretty glowy things don’t fall into the hands of a child still young enough to immediately stuff everything into his or her mouth. The most important thing about managing risks is not to eliminate every potentially hazardous thing, but rather to understand and plan for the dangers. So it’s October and I’m trying to think of a blog post topic. Hmm. Ahah! Inspiration! Spontaneous human combustion. What else? If there’s any paranormal topic that touches on the edges of chemistry, it has to be this one. If you’ve never heard of it, spontaneous human combustion refers to the idea that humans can (or, er, maybe not – bear with me) suddenly and unexpectedly burst into flame and be reduced to ashes in a matter of moments. There is apparently no external source of this flame – it seems to come from nowhere. It’s a creepy idea. I remember one of my chemistry professors at university, who had turned up to lecture us in his chemical-stained lab coat, with bushy white hair and too-dark eyebrows sticking out in all directions, pausing on his way out to tell us that we should think carefully when deciding whether chemical reactions would happen spontaneously or not under real world conditions. “After all,” he said cheerfully, “spontaneous human combustion has a negative Gibbs free energy, and you haven’t all burst into flame. Yet.”† And with that he gave us all an ever-so-slightly crazed grin and sauntered out of the room, leaving us looking around uneasily for traces of smoke. Theatrically-minded chemistry lecturers aside for a moment, the idea that people, and things, might unexpectedly start burning is an old one. You can track it right back to the Old Testament, where there was quite a lot of suddenly bursting into flames going on, for example the angel of the Lord appearing to Moses in flames of fire from within a bush. Mind you, that was an angel rather than a human being, and they might be flame retardant of course. But you get the point. Fire has always been important to humans as a source of vital light and heat – indeed many would argue that the ability to control fire was a key turning point in human evolution – but at the same time it can be horrifyingly destructive. It’s hardly surprising that fire has found its way into so much of our history and mythology. Let’s think about what the combustion part of ‘spontaneous human combustion’ means. The definition of combustion is a chemical reaction between a fuel and an oxidant (commonly oxygen) that gives out heat. This applies to you, unless you’re a silicon-based lifeform. There is more than one type of fuel, but the most familiar ones (coal, oil, gas, fats, wood and so on) are made of largely of carbon, hydrogen and oxygen. You are made up of the same elements (assuming you’re not some kind of alien life-form who’s stumbled over my blog – in which case, welcome). Of course you do have some other elements thrown in as well, notably nitrogen, calcium and phosphorous, but most of you is carbon, oxygen and hydrogen. Fuels give out lots of energy when they burn, and so, in theory, would you. Particularly if you have plenty of fat, because fats burn really nicely. After all, what were candles made of before paraffin wax? Largely tallow – which is a processed form of animal fat, usually from cows or sheep. And we all know that candles burn really well, that’s sort of the point. The idea that you can burn a human isn’t surprising, after all people have been using fire to dispose of human remains for thousands of years. But spontaneous human combustion (SHC) is something different. In these cases, the person burns without any (obvious) source of ignition. At this point, you might be imagining a person suddenly bursting into flame right in front of shocked witnesses, but in truth reliable eyewitness accounts are pretty rare. Instead, what generally seems to happen is that a body is discovered, badly burnt but usually with very little damage to the surrounding furniture or even, sometimes, parts of the victim’s clothes. Observers of the scene then draw their own conclusions, some more rational than others, as to how the burning occurred. Possibly one of the most famous cases like this is that of Henry Thomas. He was a 73 year-old man whose remains were discovered in the living room of his council house in South Wales in 1980. His entire body had been incinerated, leaving only his skull and a section of each leg. Bizarrely, sections of his socks and trousers were relatively unscathed, as was half of the chair he’d been sitting in, and most of the rest of the room except for some smoke damage. 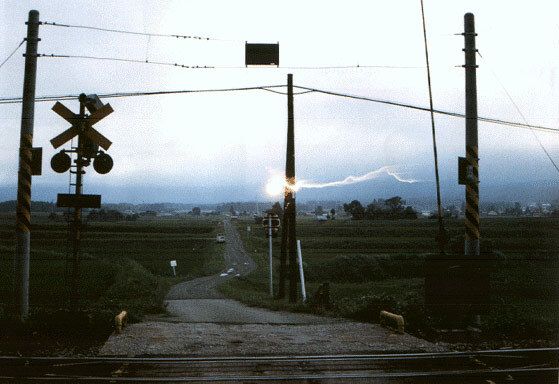 Could ball lightning cause people to catch fire? There are various theories to explain this kind of gruesome discovery, from ball lightening, to flammable intestinal gases (namely methane, which is the same gas in your kitchen cooker), to acetone building up in the body. The most famous, and probably best accepted of the more scientific theories, is ‘the wick effect‘, popularised in a BBC QED documentary in 1998. This idea likens a clothed human body to a candle, but with the wick (clothes) on the outside. The person’s fat is the fuel source, and the theory goes that the person’s fat melts and burns slowly, like a candle, over a period of several hours. The burning is very localised, which explains the lack of damage to the surroundings. Police forensic officers decided that Henry Thomas’s death was most likely an example of the wick effect in action. It is often the case that apparent SHC victims are elderly, have low mobility due to illness or obesity, and are smokers (in other words, had a source of ignition in the vicinity). The logic goes that they are somehow incapacitated, perhaps a heart attack or stroke, perhaps excessive alcohol consumption, drop their cigarette and burn slowly. But there are cases where the burning seemed to be a lot more sudden, and even a few where someone else was on the scene. For example, the most recent (suspected) case of spontaneous human combustion in the UK was that of Jeannie Saffin, who died in 1982. She was a 61 year-old woman, but had the mental capacity of a child due to birth defects. She was sitting with her father in the kitchen of their family home. He wasn’t looking directly at her when she caught fire but, according to his account, something caught his eye and he turned to find her suddenly ablaze. He and his son-in-law put out the fire using water, and then called an ambulance. She eventually died in hospital despite treatment. The coroner refused to accept the suggestion of spontaneous human combustion saying there was “no such thing”, and recorded an open verdict. Jeannie Saffin’s case clearly wasn’t an example of the wick effect; it happened too fast. As far as I can find out, no one has ever really been able to explain why she caught fire so suddenly. She was in a kitchen, and kitchens do typically contain sources of ignition. Perhaps something went unrecorded: matches, alcohol, use of a gas oven. But even if it did, why did she burn so quickly and so violently? Flammable clothing perhaps? The truth is, we will probably never know. Searching around I found other examples, but in every ‘sudden’ case I found the victim was in close proximity to something flammable or something that could, conceivably, provide a source of ignition. Or both. In particular, there are several cases of apparent SHC happening in cars. Usually a fire crew has investigated and found no traces of petrol in the wrong place. But… this seems like too much of a coincidence to me. Petrol is extremely flammable – could a small trace be present, perhaps from filling up the tank? If something were to ignite it, it could cause other things to burn, like synthetic fibres or, an even more likely culprit, hair products like gel or hairspray. Hair coated in product can burn really quickly. It doesn’t entirely explain every detail, but then it’s hard to know what is and isn’t an accurate account in these cases. The truth is that spontaneous (if that really is an appropriate adjective) human combustion remains a bit of a mystery. 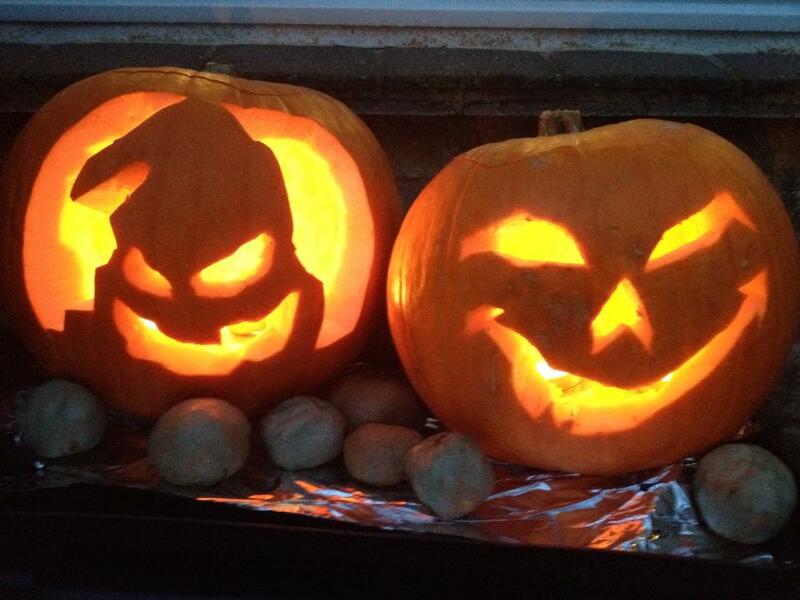 Just be careful around those jack-o-lanterns. † I may be misquoting, it was a long time ago, but I’m sure I’ll be forgiven if I am.